? What patterns do you observe? What would be the shape of the graph if the exponent was 11? What if the exponent was 12? 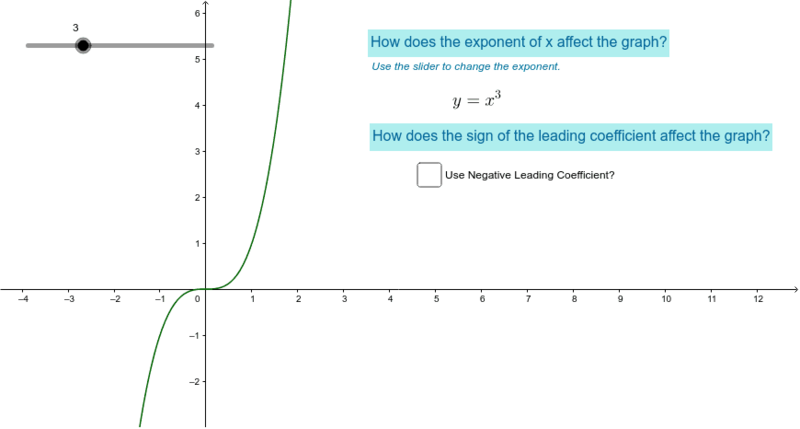 How does the sign of the leading coefficient affect the graph?